Summer is prime grilling time for many reasons—perhaps most prevalently as a way to bring friends and family together during a backyard party. For many grilling enthusiasts, however, the main reason has been to keep your kitchen cool during the hot summer months. Remove the oven from the equation, and enjoy the sun on your face while cooking. What could be better? 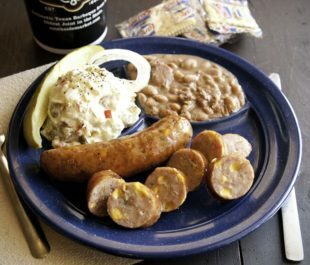 And when we’re trying to escape the steamy kitchen, sausage is one of our favorite meals to prepare—perfect for groups and delicious plain or with toppings, it is a staple of any grill master’s routine. But lately we’ve been mixing it up! A new recipe we’re loving this summer: Southside Market Jalapeño Cheddar Sausage Mac & Cheese. The sausage to use is Southside Market’s Jalapeno Cheddar, which is stuffed with fresh jalapeno (as opposed to the pickled stuff many other producers use). The entire family is sure to love the cheesy, sausage-filled dish that has a smoky flavor. Watch the video below for the recipe, or click here to see the written instructions on SouthsideMarket.com. 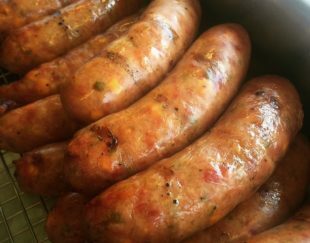 When it comes to sausage, Southside Market knows their stuff and innovates to create new variations on the classic. 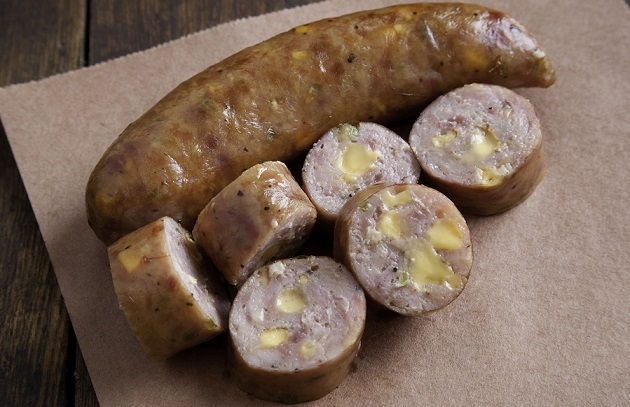 For over 100 years they’ve been wowing our palates with fresh, premium sausage in a real pork casing. This jalapeno- and cheddar-stuffed variation is truly delightful. Made in-house at Southside Market daily, you can order them online – 5 packages for $47 each, or save with bulk (10 packages for $77).